In James Cameron’s film Titanic as the ship foundered a Catholic priest is seen praying with his fellow passengers and reciting from the Book of Revelation. This man was not a figment of Cameron’s imagination: his name was Fr Thomas Byles, 1870-1912, PP of Ongar in Essex, and he trained at the Beda College and was ordained in Rome in 1902. 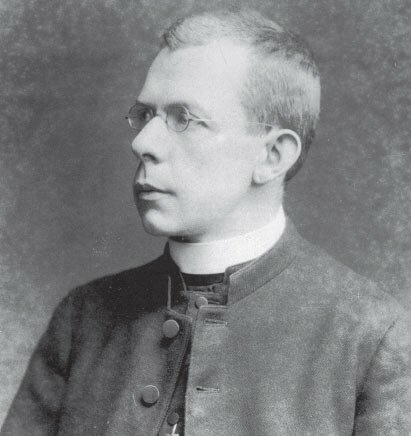 Fr Byles was travelling to New York to officiate at the wedding of his brother William. The night before he left for Southampton his friend, Mgr Edward Watson, called in to say goodbye and share a glass of wine. His final words to Fr Byles were unintentionally ominous: ‘I hope you’ll come back’, his fear being that the priest would find more interesting work in the US and decide to stay. Thomas Byles was born Roussel Davids Byles on 26 February 1870 in Shelton, Staffs. He took the name Thomas on entering the Church.1 He was the son of Rev. Dr Alfred Byles, a Congregational minister and his wife, Louisa Davids. He went to Leamington College and Rossall School, Fleetwood and in 1894 entered Balliol College Oxford to read Maths, History and Theology. There he began to have doubts about Nonconformity and became an Anglican. His brother William, meanwhile had become a Catholic and soon after graduating with a BA in 1894, after various encounters with the Jesuits, Thomas followed him into the Church. Collegio Pio. The Beda was at this time housed in the Venerable English College, occupying most of the garden wing. The easier training regime for its older students, many of them convert clergymen, kept them separate from the Venerabile. As the Collegio Pio it had its own corridor, staircase and common room but shared the chapel, library and refectory; an unsatisfactory arrangement.2 The student intake included an actor, a lawyer, an army major, an artist and several former Anglican clergymen; a mixed group then as now. 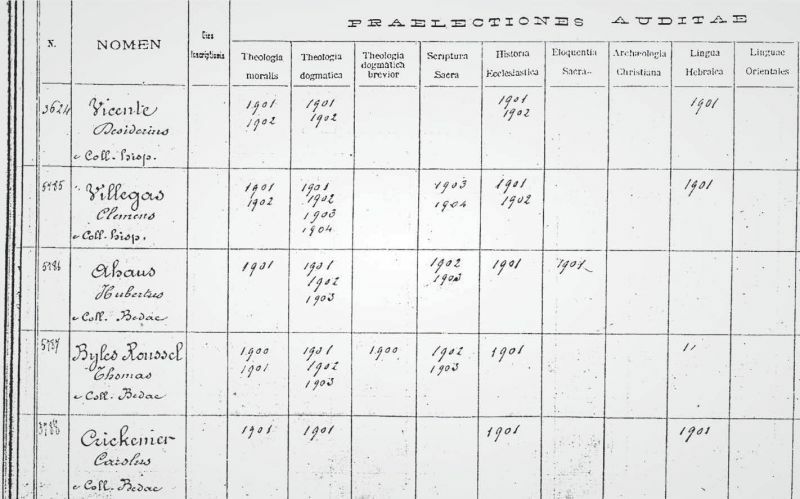 Extract from Gregorian University student records showing the courses taken by Thomas Byles. Thomas was ordained on 15 June 1902 in the church of Sant’ Apollinare in a square just above Piazza Navona.4 The following February Fr Byles was in Gunnersbury as one of the founding members of the Catholic Missionary Society set up to convert English Protestants. In 1905 he was appointed PP of St Helen’s, Ongar, Essex, a poor rural parish with a scattered Catholic community.5 Essex was then part of Westminster diocese. William Byles, Thomas’ brother, emigrated to the US and became engaged to Katherine Russell in New York. 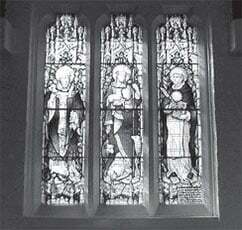 The brothers were close and Fr Byles willingly agreed to conduct the wedding in St Augustine’s church, Brooklyn. 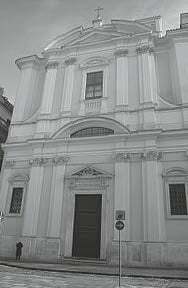 The church of Sant’ Apollinare near Piazza Navona where Thomas Byles was ordained in 1902. On 10 April 1912 Thomas took the boat train that left Waterloo at 09.45 for Southampton and sailed on Titanic at noon, his 2nd class ticket no.244310 costing £13.6. 10th name on the list. Facilities for 2nd class on Titanic were excellent with red carpeted entrances and corridors lined in two tone green carpets. And finally watercress, to aid digestion.12 This was heartier than breakfast options in Ongar or presumably at the Beda. Lunch and dinner on board needed even more stamina. 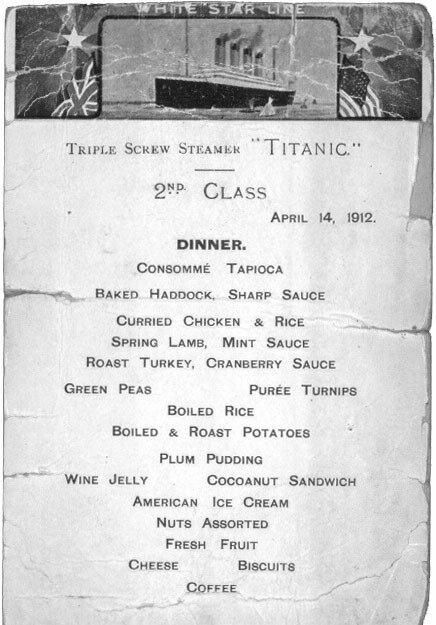 Titanic did not have a chapel and on Sunday morning, 14 April, Fr Byles said Mass for 2nd class passengers in the dining saloon and then for 3rd class passengers. He preached in English and French on an apposite maritime theme: the need for a spiritual lifebelt in time of temptation or moral shipwreck. Captain E.J. Smith led the Anglican Sunday service in the 1st class saloon. Despite all the books and films we will never know the full story of what happened on the night of 14-15 April 1912. Captain Smith, for example, was hailed as a hero, allegedly urging people to ‘Be British’, whereas the evidence indicates he had a breakdown and ceased to function as the commander. Not surprising: he had just steered the largest ship in the world into an iceberg and realised that 1,500 of those on board were going to die that night. Who’s to know how any of us would behave in such a situation. 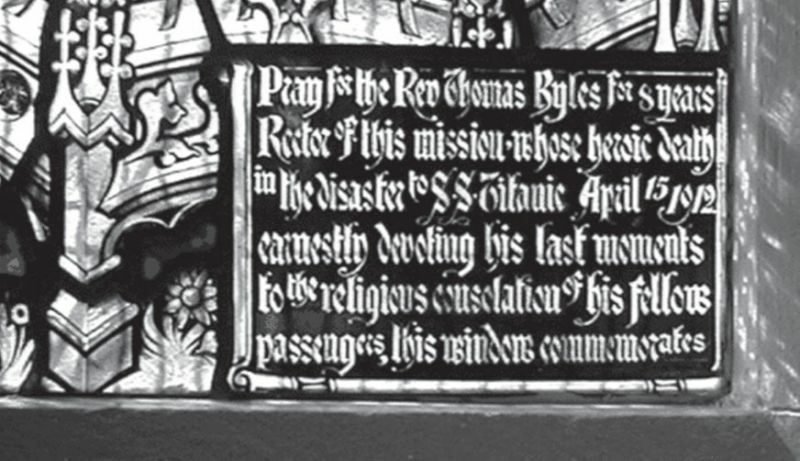 Titanic struck the iceberg on her starboard side at 11.40 on Sunday night and reports suggest Fr Byles was walking the 2nd class promenade on B or C decks at the time saying his office. He spent the next 2 hours and 40 minutes until the ship sank, praying with passengers, giving absolution and offering them what comfort he could as the awful drama of the ship’s destruction unfolded. Her account is confirmed by Agnes McCoy from Granard, Co. Longford travelling with her brother and sister to Brooklyn. I saw Fr Byles when he spoke to us in the steerage; and there was a German priest with him there. I did not see Fr Byles again until we were told to come up and get into the boat. He was reading out of a book and did not pay any attention. He thought, as the rest of us did, that there wasn’t really any danger. Then I saw him put the book in his pocket and hurry around to help women into the boats. We were among the first to get away and I didn’t see him any more. Bertha Moran from Askeaton, Co. Limerick was travelling back to the US with her husband, Daniel Moran, also from Askeaton, a New York policeman; he did not survive. She said Fr Byles had acted as a chaplain to steerage passengers all through the trip. Another survivor, Charlotte Collyer from Bishopstoke, Southampton, recalled the horror of the night and seeing Fr Byles when she realised the unsinkable Titanic was doomed. On the boat deck that I had just left perhaps fifty men had come together. In the midst of them was a tall figure. This man had climbed upon a chain or a coil of rope so that he was raised far above the rest, his hands were stretched out as if he were pronouncing a blessing. Fifty-eight miles away from the stricken liner, Captain Arthur Rostron of Cunard’s Carpathia, had stopped his vessel for the night in the icefield when his radio operator woke him with news of the Titanic disaster. Rostron, an energetic, prayerful man of 42 from Bolton, leapt into action. He ordered full steam ahead and even with seven lookouts posted took an enormous risk racing Carpathia for four hours at top speed in the dark through a field of virtually invisible icebergs. Rostron himself kept watch on the starboard wing through the night, his uniform cap slightly raised as his lips moved in silent prayer. He ordered his crew to make all preparations to care for an unknown number of frozen, shocked survivors, giving up his and all his officers’ cabins for those in bad shape. Unaware of the emergency, his passengers complained there was no hot water and their cabins were freezing as the captain diverted every ounce of steam to gaining more speed. Later Rostron told a friend: ‘When day broke, and I saw the ice I had steamed through during the night, I shuddered, and could only think that some other Hand than mine was on that helm during the night.’19 Sadly he arrived too late for Fr Byles. Most Titanic victims froze to death within minutes in the icy waters rather than drowned. In the days and weeks that followed various ships combed the area attempting to identify recovered victims before burial at sea. Fr Byles’ body was never recovered. About 150 were buried in Halifax, Nova Scotia, half of them unidentified. Fr Byles may have been in one or other group. To this day Cunard, successor to the White Star Line, contributes to the upkeep of those graves in Fairview Cemetery and Mount Olivet Catholic Cemetery, Halifax. 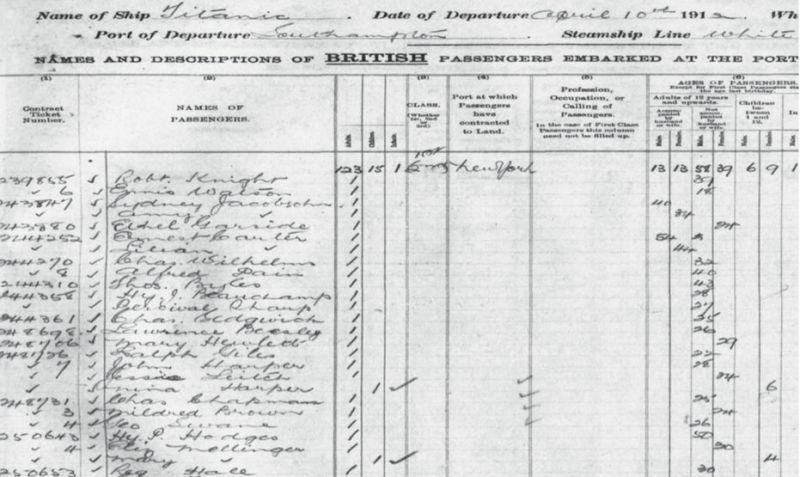 As Thomas’ brother William Byles waited in New York for news, a White Star Line official contacted him on the afternoon of 16 April to say all Titanic passengers had transferred safely to other ships. Gradually the awful truth filtered through and hopes of Thomas’ survival faded. Nonetheless, William constantly checked the lists of survivors even after Carpathia docked in New York two days later with just 705 Titanic survivors out of around 2,225 souls on board. 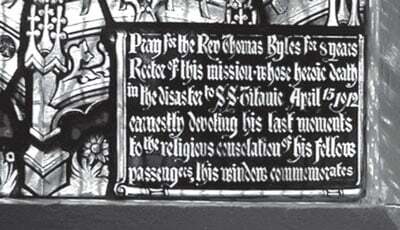 Fr Thomas Byles is often portrayed as a heroic figure or a martyr. He was without doubt a brave man who seeing the terrible situation of his fellow passengers, acted exactly as a pastor should, doing everything he could to prepare them for their final ordeal. 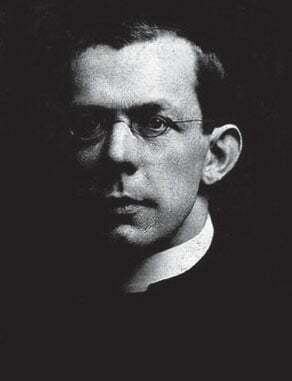 The CMS journal, Missionary Gazette, commented that the full story of Fr Byles’ actions will never be told: ‘All we know is that his end would be all apiece with the rest of his life; and that he would do all that a Catholic priest could in that terrible hour.’22 We can be certain of one thing: Thomas Byles was a good priest. The Beda had trained him well. Some of this article is based on material in the biography section of the website http://www.fatherbyles.com/byles.htm,used by kind permission of Fr Scott Archer of Fairbury, Illinois. There is also information in the article by Fr Byles’ friend, Mgr Edward Watson, ‘Reminiscences’, The Edmundian, vol.X, no.58, July 1912, 111ff. Ongar is now an outer suburb of London and was served by the Central Line from Epping until the branch closed in 1994. Letter from Fr Byles to Miss Field, 10 April 1912. In it he mentions two other priests on board, a Benedictine from Bavaria and a secular from Lithuania. Lawrence Beesley, a teacher from Dulwich College, survived the sinking and wrote his version of the story in The Loss of the SS Titanic. Like Thomas Byles he paid £13 for his 2nd class cabin, D56, near the dining saloon. He said it had two bunks and a washbasin but no window and he had it to himself. 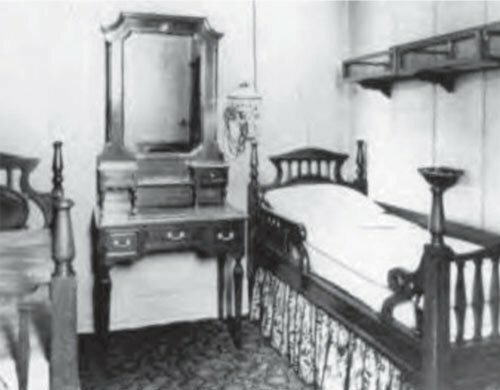 It is likely Fr Byles’ cabin was similar. Thanks to Ed Coughlan, Chairman of the Irish Titanic Historical Society for this information. Francis Browne SJ travelled in one of the finest staterooms on Titanic, A37, starboard side near the grand staircase. Thomas Andrews who designed Titanic occupied its twin, A36 on the port side. Both suites were a late modification to the ship’s design and quite removed from the rest of 1st class. 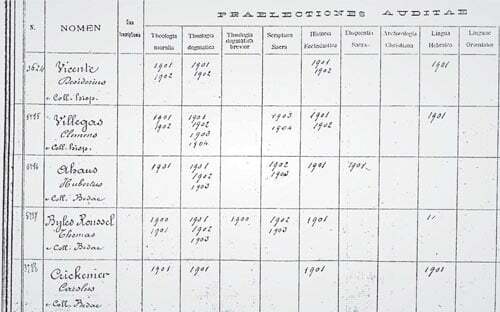 Given the separation of classes, it is unlikely Fr Byles met Francis Browne on board. Fr Browne later served as chaplain to the Irish Guards during World War I. Wounded five times and gassed, Field Marshal Alexander described him as “the bravest man I ever met”. He was awarded the Military Cross and died in 1960. E.E. O’Donnell SJ, Father Browne’s Titanic Album, Dublin: Wolfhound Press, 1998, 12, 29-32, 91. Francis Browne wrote an article about his trip, “At sea on the Titanic” which appeared in The Belvederian, 1912, the magazine of Belvedere College SJ, Dublin where he was a contemporary of James Joyce. The article is reproduced in the above Titanic Album. 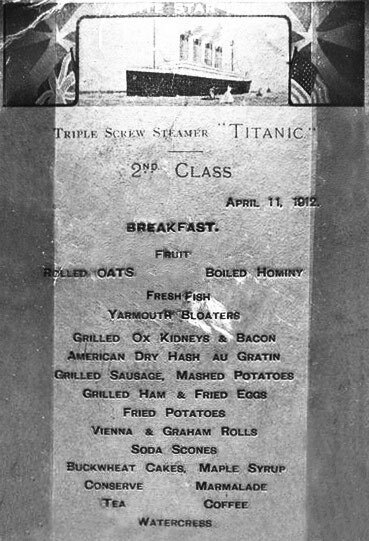 Class segregation was strict on Titanic as on other ships, gender separation likewise: single women travelling in 3rd class were berthed near the prow on decks E, F and G, single men at the opposite end of the ship close to the stern. John Eaton and Charles Haas, Titanic: Triumph and Tragedy, Yeovil: 1997, 97, 120-2. This is one of the best books on Titanic for the detail and accuracy of information on the great ship. Irish World, New York, 27 April 1912, quoted in Molony (2000), op.cit., 132 Agnes McCoy worked as a domestic for the wealthy of New York, among them Douglas Fairbanks and Mary Pickford. She never married and died on 14 January 1957. Colonel Archibald Gracie, Titanic, Stroud: Sutton Publishing, 1998.ed., 35. Col. Gracie survived the sinking but died eight months later from what he endured that night. His book was published posthumously in 1913. Quoted in Donald Hyslop, Alastair Forsyth, Sheila Jemima (Editors), Titanic Voices: Memories from the Fateful Voyage, Stroud: Sutton Publishing (1998), 134, 136. Charlotte Collyer’s husband, Harvey, did not survive the sinking though their daughter Marjorie did. They had planned to settle in Idaho. Overcoming her understandable terror of the sea, Charlotte eventually returned to Bishopstoke where she remarried but died soon after of TB. Quoted in Walter Lord, The Night Lives On, London: Penguin Books, 1998 ed., 159, 160. The heroic Rostron ended his career as Commodore of the Cunard fleet. Missionary Gazette, June 1912, 4-5, courtesy of Fr Nicholas Schofield, Westminster Diocesan Archivist.